I presume that deafness is the inability of hearing any sounds. And I presume that it may also be possible to be less able to decode sounds. In other words, an inability to translate or understand the spoken word into a meaningful message. The inability to understand speech happens a lot to me when people tell me one message and I decode it wrongly, understanding a completely different message. Is there a discrepancy between hearing and understanding sound? Yes, there is a difference between hearing and understanding sound. Acoustic information is processed in different neural centers along the auditory pathway. 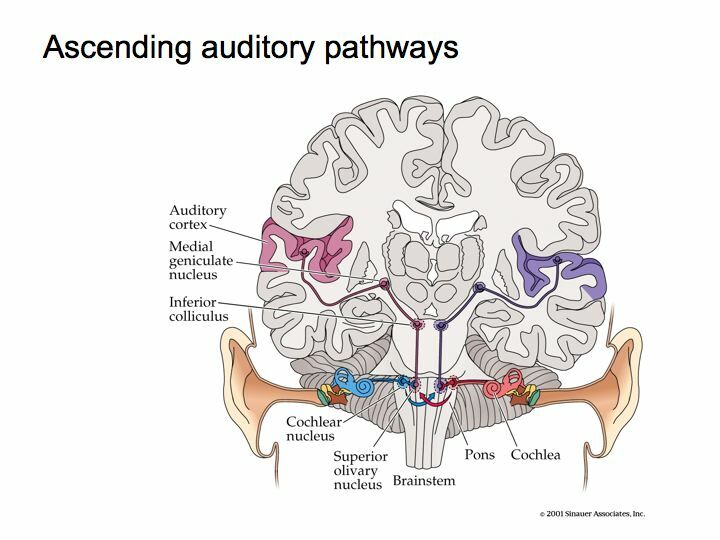 The auditory system runs from the peripheral end organ in the inner ear (the cochlea) to the cortex. Along the way various processing steps are carried out. For example, basic reflex behaviors in response to acoustic stimuli (e.g., startle responses) are processed in subcortical structures (Bocca, 1985), while complex sound perception, such as listening to music, is mediated in the cortex (Philips & Farmer, 1982). It is not until the cortex that complex sounds such as speech are processed into meaningful information. The difference between hearing and understanding sound is strikingly evident in people with lesions in the auditory cortex. Damage to the auditory cortex can result in an inability to recognize complex sounds and in a loss of speech understanding. These symptoms are referred to as agnosia or cortical deafness (Rosati, 1982). The loss of speech understanding (word deafness) is the most debilitating and therefore most investigated aspect of agnosia (Philips & Farmer, 1982). However, tone audiograms (i.e., tonal hearing sensitivity) of people with cortical deafness are largely unaffected (i.e., their auditory thresholds are fine) and they may have normal sound-intensity and sound-frequency discriminating abilities as well (Rosati, 1982). Hence, the auditory cortex is thought to fulfill a synthetic function, in that it integrates complex sounds such as speech in time (Bocca, 1985). Word deafness may therefore be comparable to hearing a strange language, or hearing reversed words being spoken; one can hear it, but not comprehend it (Rosati, 1982). It has been shown that the auditory cortex is crucial in storing information as well as processing of sound stimuli with rapidly changing content (in the order of milliseconds to tens of milliseconds). A loss of storage capacity and the loss of the ability to analyze rapidly changing acoustic signals are thought to at least partly explain the detrimental effects of auditory cortex lesions on speech understanding and other auditory abilities (Philips & Farmer, 1982). It is well documented that people are able to selectively attend to different speakers. The ability to tune-in to a particular speaker and filter out others was dubbed the cocktail party effect, since it is the kind of skill that is required in when trying to have a conversation with another person in a crowded party. A common way of studying this phenomenon in a laboratory setting is a dichotic listening task. The subject is presented with two auditory stimuli simultaneously, and must respond in some way (such as repeating what was heard) to only one of the stimuli. In general, people are good at filtering out a particular auditory stimulus, there is some evidence that filtered out information is still being processed. When people hear taboo words in the unattended stimulus, they tend to notice (Straube & Germer, 1979). The same applies for hearing your own name (Moray, 1959). Not the answer you're looking for? Browse other questions tagged neuroscience perception cognitive-neuroscience hearing or ask your own question. Are the language and sound centres of the brain in the same area?